Beat This Caption Contest 210 Winner – Caption Contest Funny Clever Witty Enter Today! When I saw her in those shorts…sparks flew! That’s Debbie – she’s my current girlfriend! Mary didn’t know it but she was about to invent the best ‘Quick-Tan’..EVER! The Frying Wallenda act eventually fizzled out! Glenda couldn’t resist getting on top of a 300 foot erection! 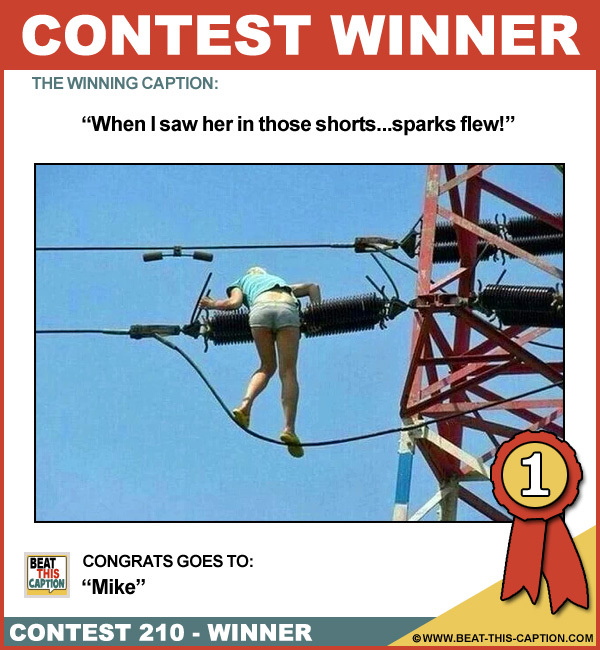 If the power line is not working, try looking for the shorts!